Take a look at our FAQ and see how easy it is to use our software! Use the login information and access all the information you need. Stay updated! Stay tuned to the latest news we have for you! 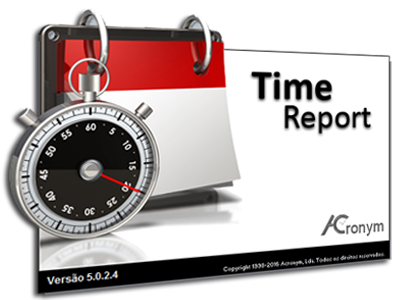 Time Report's Schedules Module para o Time Report is a good tool for those who want to control their employees working schedules. It's ideal for companies that its employees have irregular schedules and are frequently changed. For this reason, this module can be used for planning working schedules in hospitals and other health institutions. This tool is very quick and simple to use. The schedule assignment can be done in just a few seconds, either for a employee or to an entire department. The entire process of scheduling attribution is based on drag & drop avoiding the need to fill long and repetitive forms to obtain the desired schedule plan. It has a simple and atractive interface, based on colors, which allows the immediate identification of each employee plans. This module is available in two different views: calendar view, which allows to view the employee schedule for a whole year and a table view, which allows to view the schedules of a group of employees during a month and may also present additional information such as the working hours and/or the worked hours balance in the previous month. 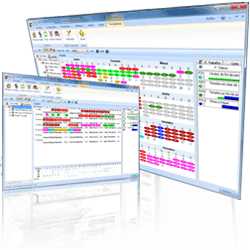 The Schedules Module is not an isolated software. It's fully integrated with Time Report, allowing the schedules planning to have immediate effects on the employees time control. Forget the data export/import processes and the time control software incompatibilities! With our Schedules Module you only need to plan the schedules and the rest is done automatically. We provide various types of maintenance and support services for our products. Do you have any question or suggestion? Do not hesitate to contact us!